I have a confession. I’m an imperfect person. I have faults and flaws. I’m not sufficiently good, wise, or amazing to make things work everywhere. I know I have limitations, I know I have temptations, I know I make mistakes, and I have regrets. You might be like me too. We live in a world though that sees confessions such as these as weakness. Imperfections and limitations are things to be covered up, avoided, or denied. But this is not the way in God’s Kingdom. In God’s Kingdom limitations are not to be avoided but actually embraced because they are where God works best. As Paul says, it is in our weakness, our limitations, our imperfections, that God is strong and does his best work. Sometimes I come to a situation, a crisis, or even a Sunday with a feeling like I don’t know what to do. I don’t have the experience, the skill, or the knowledge to draw upon. I have no idea how to make things work. I reach the end of myself and see my limitations. These, though, are precisely the times when God seems to act most. When I say to him I have no idea what I am to do – so this one is up to you. When I say to him – God, this is bigger than me, so it needs you. 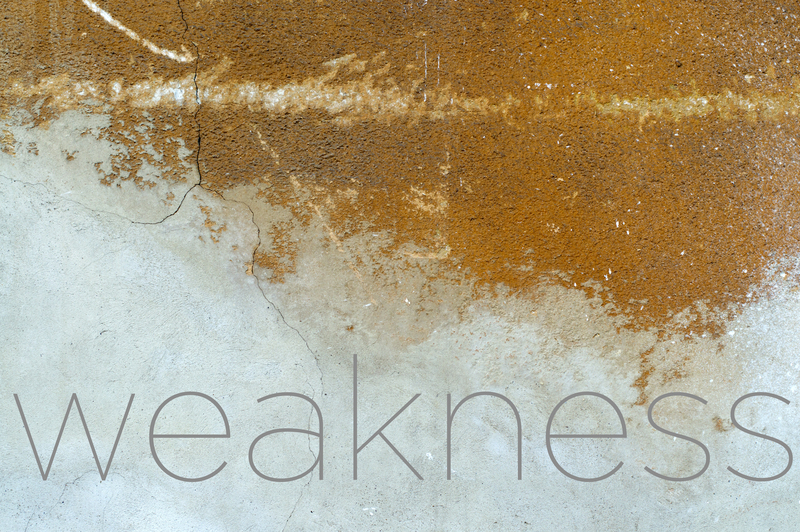 When I embrace the fact that God I am small and broken – but accept the fact that even in my weakness God wants to use me. And he wants to use you even with your weaknesses and limitations. This isn’t about excusing sin and failures of that sort. This is about realizing that we are not God, that we are not perfect, that we do not know everything, or know how to act in every situation. This isn’t to be lamented but embraced because when we embrace the fact we have limits we embrace the fact that God doesn’t. It is only when we acknowledge our limitations that we also acknowledge our need and dependency on God. As I said I am not sufficiently amazing, wise, or skilled to succeed without God. I need God each and everyday in my life, work, and in his church if I am to be faithful. I cannot rely on myself, my limits remind me of my desperate need for God. So for you – when you come up to your limits – what do you do? Do you embrace them as a moment for God to work? Do you embrace them as a reminder of our dependency on the Spirit that lives and moves in us? Or do you avoid it, deny it, or try to compensate for it? My suggestion is this – the next time you come to the end of yourself, embrace that fact because it is often the beginning of the work of God. Next Closed or Open Futures? Amen, Andrew! When we appropriately own up to our short comings it not only helps us to grow as individuals it can actually encourage others to do the same because all of a sudden we are not the only one struggling with that very issue. Being aware and in touch with our short comings gives us the freedom to seek out real help. It’s like giving God the green flag to take that part of us and make it better. And of course only God can do that in the most perfect way. Sometimes (infact often) I need to remind myself that God has seen and heard from past generations, this generation and He knows what needs to be done now to set the ground work for our future generations in order to continue His good work. And that includes us being cooperative and open to Him. Thanks again for sharing and being honest, Andrew! I think you are really right being open and vulnerable allows others to be open and vulnerable too. I don’t think God can move freely in our lives, unless we are honest with where we are at in our lives. So I think you are right on – and thanks so much for the encouragement!